Description: The Swift Fox has a dark, gray/tan coat changing to orange/tan on the sides and legs and white or buff on the chest and belly. It has a black-tipped tail and a small black muzzle patch on either side of its pointy nose. It is about 30cm (12in) in height and 79cm (30in) long (the tail makes up 50% of the total length). 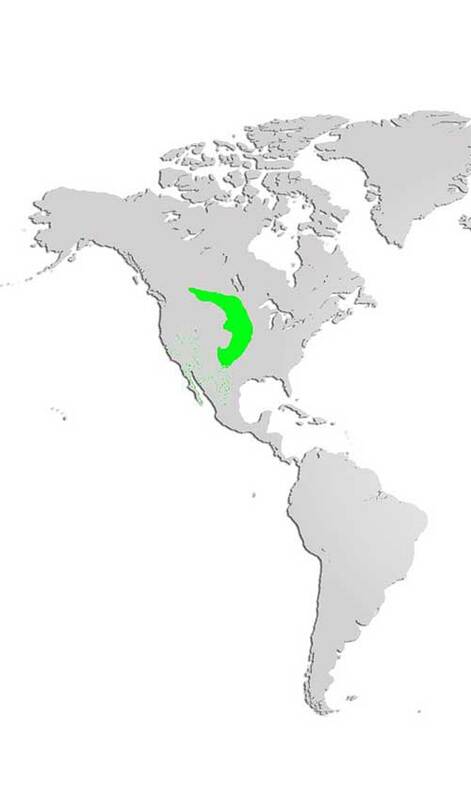 Distribution and Habitat: Once common across the western plains of North America, the swift fox was nearly eradicated by hunting and habitat loss. 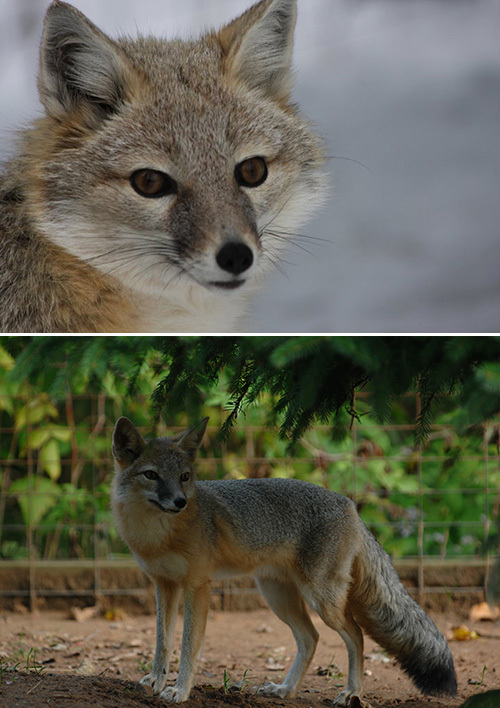 Today the swift fox is considered endangered and has a relatively small range from the southern Canadian prairies south to the prairies of the midwestern United States. Diet: Omnivores, swift foxes eat primarily rabbits, mice, squirrels, birds, insects, lizards, carrion, grasses and fruits. Their diet changes with the seasons. Life Cycle: Swift foxes mate between December and February with pups born in March to early April. Four or five kits are born with eyes and ears closed. Swift foxes move their young from den to den frequently to be near food sources and to avoid the skin parasites (mange) that build up in dens over time. Swift fox kits remain with their parents for their first summer. Coyotes, badgers, golden eagles and bobcats are the main predators of swift foxes. Adaptations: Unlike other foxes, swift foxes use dens year-round rather than just while they are raising their young. Did you know? The name of the swift fox comes from its signature speed. They can run over 50 km per hour (40 mph) and because of their small size, they appear to be going much faster that that!